We never use appraiser trainees or assistants Most appraisal firms, especially those with the lowest fees, use inexperienced appraiser trainees (“licensed appraiser assistants”) to do your appraisal start to finish, with little or no supervision. Real estate appraisals for legal, tax-related, and private uses is all we do Most appraisers have no experience doing appraisals for anything other than mortgages, where a target value is provided by the bank. Hiring these appraisers increases your odds of getting a bad appraisal that is wrong and could be challenged or rejected. 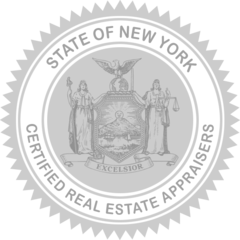 NY State Certified Real Estate Appraisers Each of our appraisers has attained the highest level of licensure a residential real estate appraiser can achieve from the New York State Division of Licensing Services, which regulates and oversees our profession. Our appraisal reports are accepted by Medicaid and Immigration All appraisal reports we produce meet or exceed the standards and requirements set forth by Medicaid for asset reporting purposes, and by the Dept. of Homeland Security for Immigration Sponsor asset reporting. 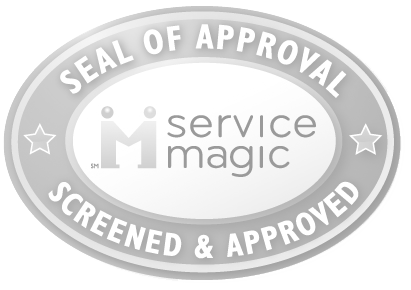 We have been screened and approved by trusted independent quality assurance organizations In addition to the NY State authorities which regulate our profession, we have also been screened and approved by trusted private organizations including Service Magic™ and Home Advisor™. We are recognized as experts in our industry Our expertise has be sought out and cited by local and national media. We’ve been quoted in The New York Times, AOL Real Estate, Yahoo Real Estate, and Housing Predictor—to name a few. Want to talk with an appraiser? Get a quick, no-hassle price quote. Just a note to thank you for providing me with excellent service regarding my real estate appraisal. Your company not only provided me with a professional appraisal, but it also did so in a manner that fulfilled all my requests and expectations willingly. As a result of your genuine efforts, it was a pleasure doing business with you, and I would recommend your services enthusiastically. Recently you appraised a condo that my husband and I were interested in buying. Given the crazy real-estate market, we knew we could not trust the appraisal that would be provided by a lender, so we wanted a truly independent appraisal. As neither of us had a clue how to go about finding and appraiser in NYC, we simply turned to the Internet. Picking someone from the web always seems to be a chancy proposition. However, in this case our choice was excellent. In every way you impressed me with your professionalism and knowledge. You returned my initial call promptly. You arrived on time. You did a very through job at in inspecting the condo. At the end, my daughter did her best to get you to give a "ballpark" estimate on the spot, but I was very pleased to see that you insisted that you could not provide a meaningful estimate until you had all the information in hand. We received the appraisal report 3 days after the appraisal and it was extremely detailed. And all this for a very reasonable price. I would recommend you enthusiastically to anyone I know who needed an appraisal in NYC. Thank you for the very thorough appraisal you recently conducted for me. It saved me from potentially making an over-valued purchase. Thank you so much for sending the appraisal. You did an excellent job and I was very impressed with the details and thoroughness of your report. Your report was very definitive and very complete. While we are aware that the appraisal is not a final determination of the sale price of the house, your objective evaluation gave us a realistic view of the true value of the property. Thank you! I was very pleased with the reliability, efficiency, and professional quality of your services. If I hear of anyone who needs the service you provided to me, I would certainly highly recommend a call to your office. We appreciate all you have done to help lower our taxes. We were very impressed with your professionalism and thoroughness. The photographs, research and presentation was flawless. We will and have recommended Appraisal Source for any and all appraisal needs. The service was really valuable and I would recommend it to my friends and family. Your appraisal saved us money and a future financial disaster. Thank you. I was very pleased with your appraisal services. You acted in a professional manner and did a very thorough appraisal of my home. I would not hesitate to recommend your services to any of my neighbors or friends. Our experience with Appraisal Source was excellent. 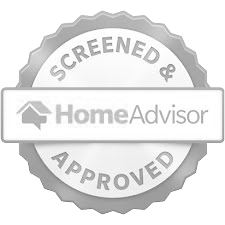 Starting with the initial phone call, the appraiser was knowledgeable, honest and very helpful. The appraisal was thorough, professional and the finished documents were exactly what was required. Our appraiser was very reliable, answered all our questions and helped us understand all aspects of the appraisal process. We have recommended Appraisal Source to several of our friends and all have been extremely satisfied.